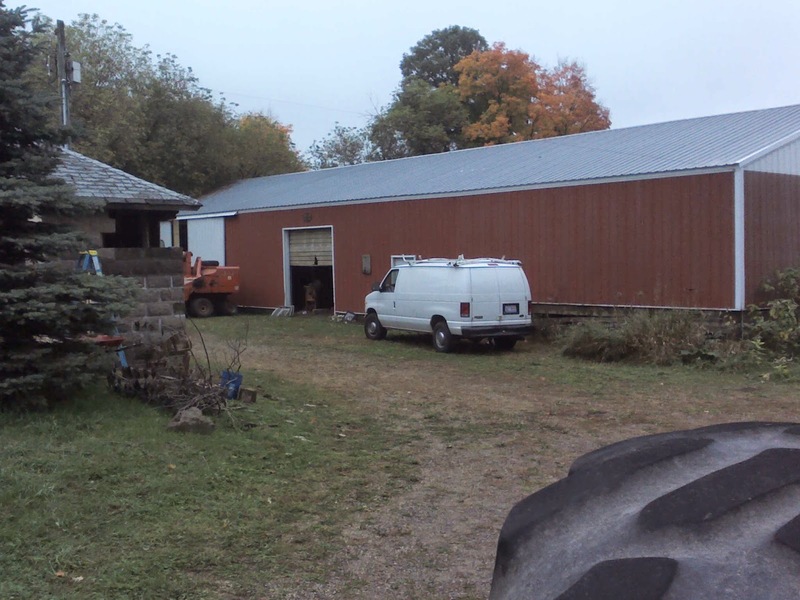 Got back a couple days ago from a 3 wk trip to my Dad's farm. Will probably head up there in a week, staying for a couple weeks to work on bldgs and help with harvesting beans/corn. Having a blast. 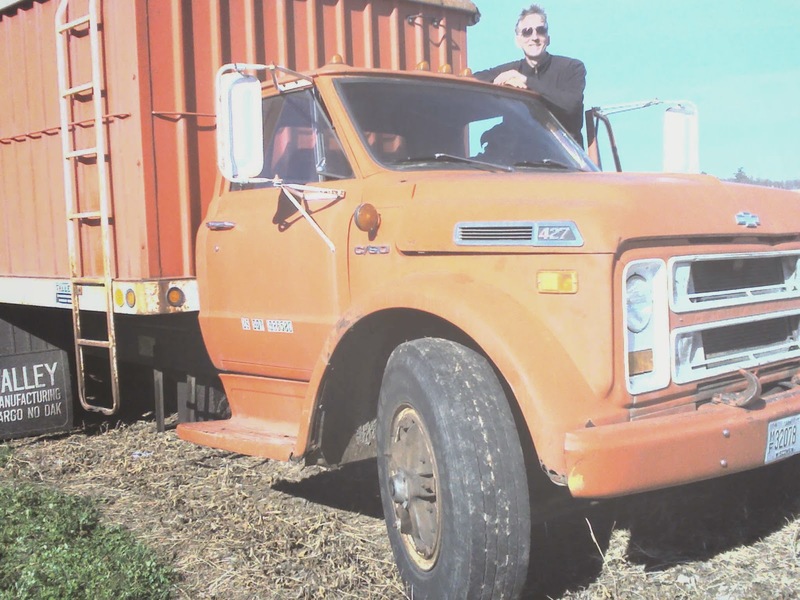 Drove this tractor, pulling the orange grain cart, shown 3 pics down, for a bit. 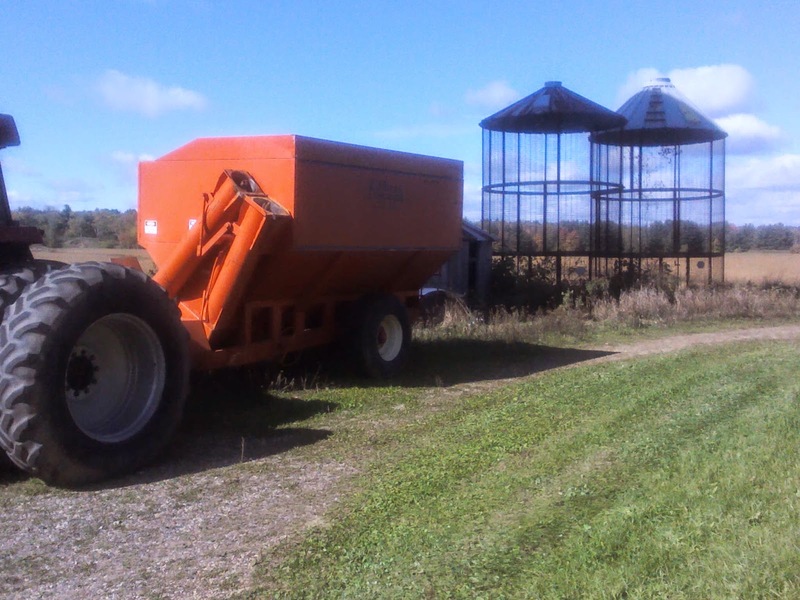 The orange grain cart is used to haul soybeans/corn/grain from the field, where it's harvested by the combine, back to the farm. 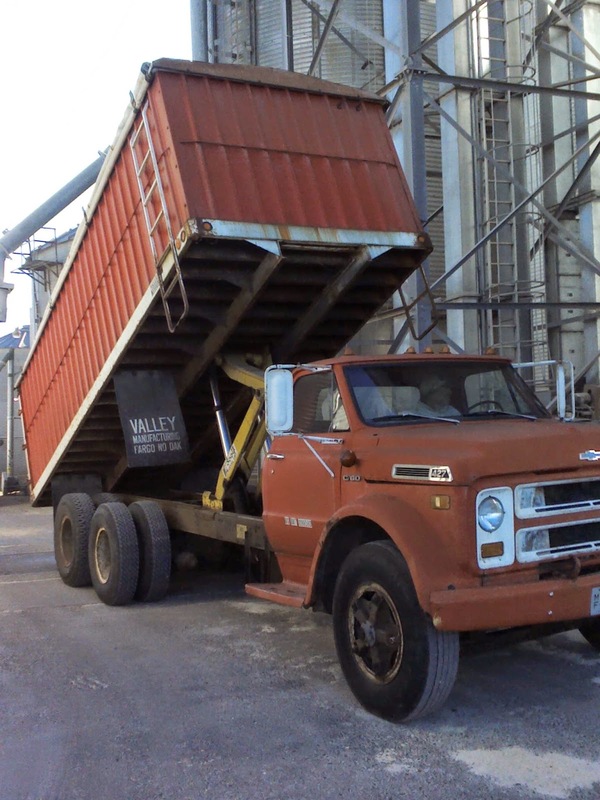 Then it's transferred to a larger truck to take it to the grain elevator in town. 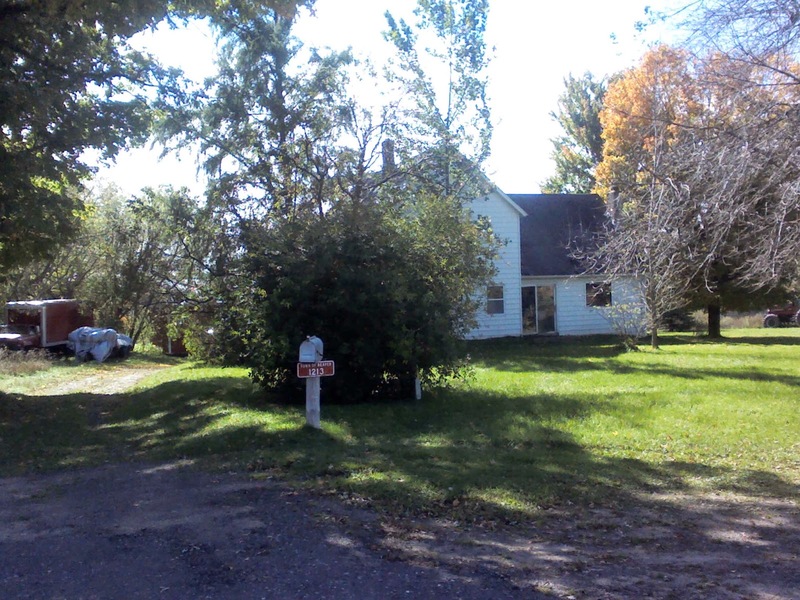 next trip up there I'm going to work on winterizing the old farmhouse. I'll stay there while I work. 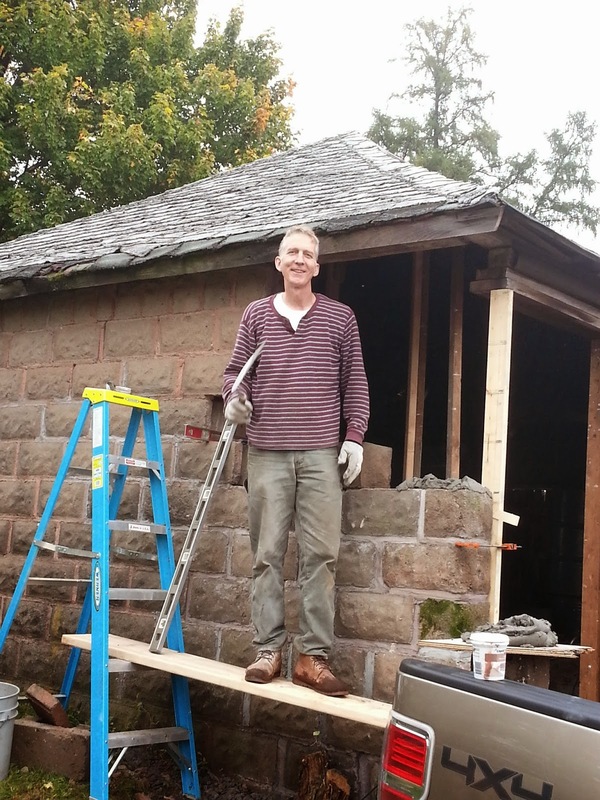 Wood stove, running water, electricity, a basic toilet - don't need much more! Update: I went back up and did a lot more work. Really enjoyed myself. 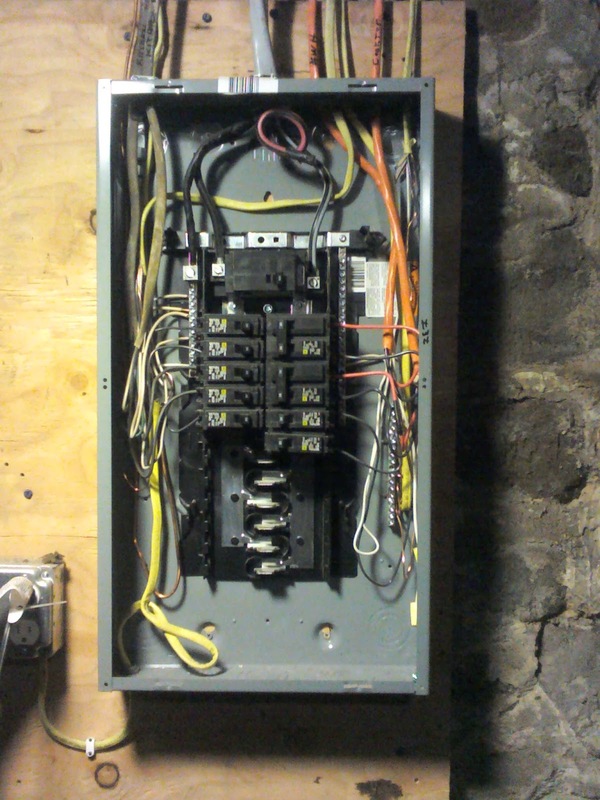 About the only pictures I have of the work I did are of the new electrical service (the wires that go from a main panel up the side of the house to connect to the wires coming from the pole) and a new main electrical panel. 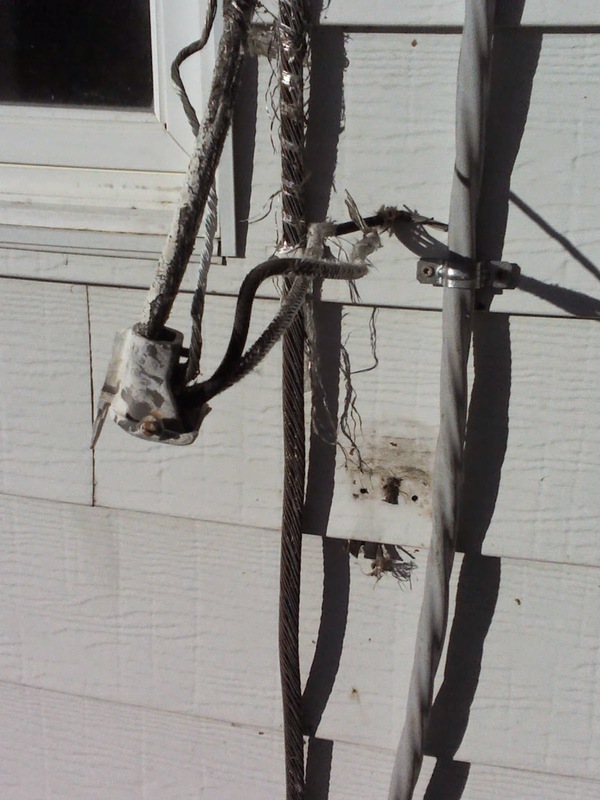 This took the place of the old wires and fuses which seemed really fragile and frayed. 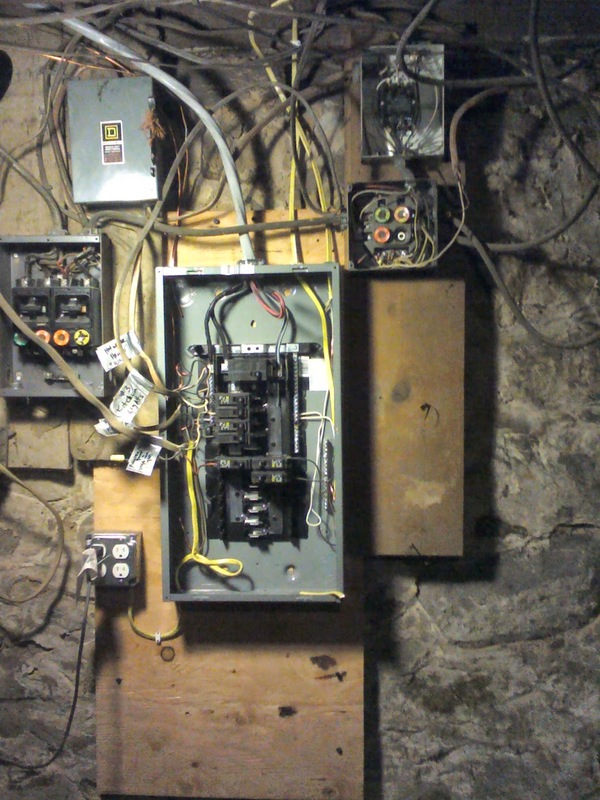 The old wire, with it's service cap hanging down, is on the left. The new cable is on the right. 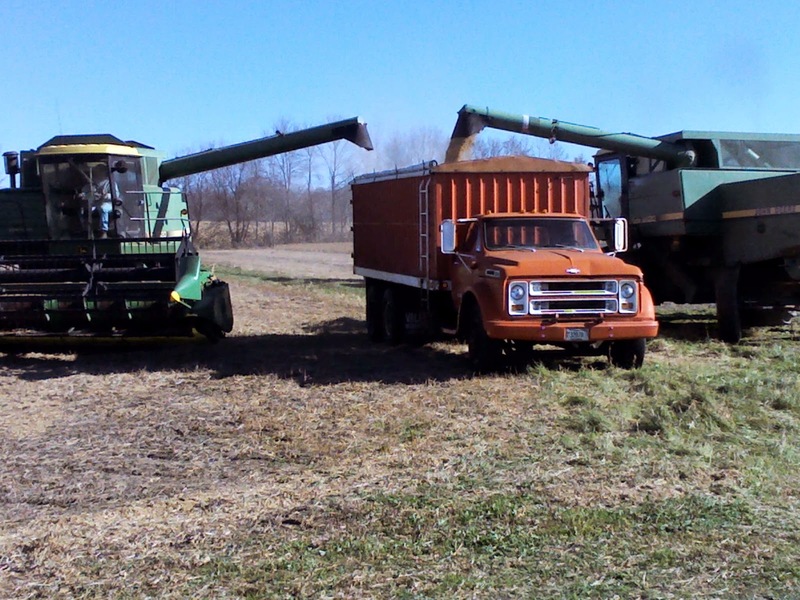 My dad did almost all of the combining. I'd drive the truck the 15 miles, back and forth, to the elevator where the grain was stored until a decision is made to sell it. 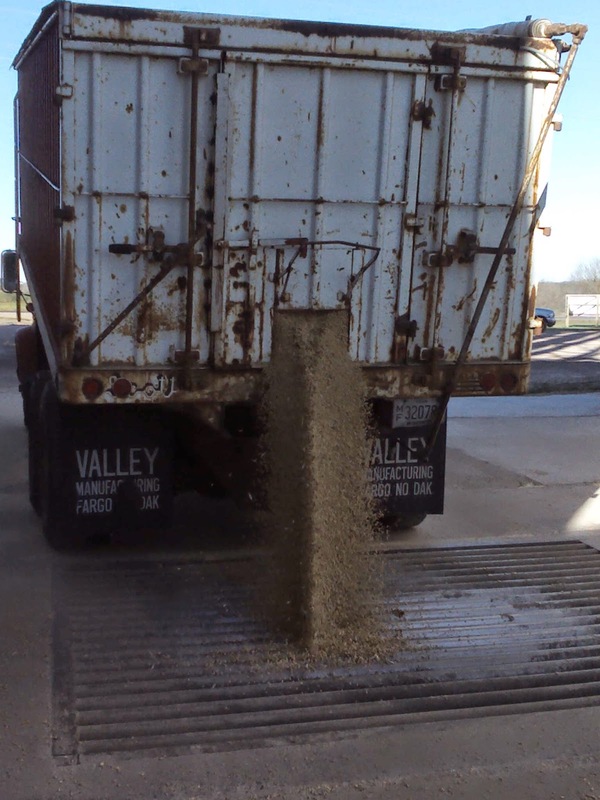 The elevator had long lines as everyone was bringing in grain at the same time. I'd usually have to wait an hour or two to unload. 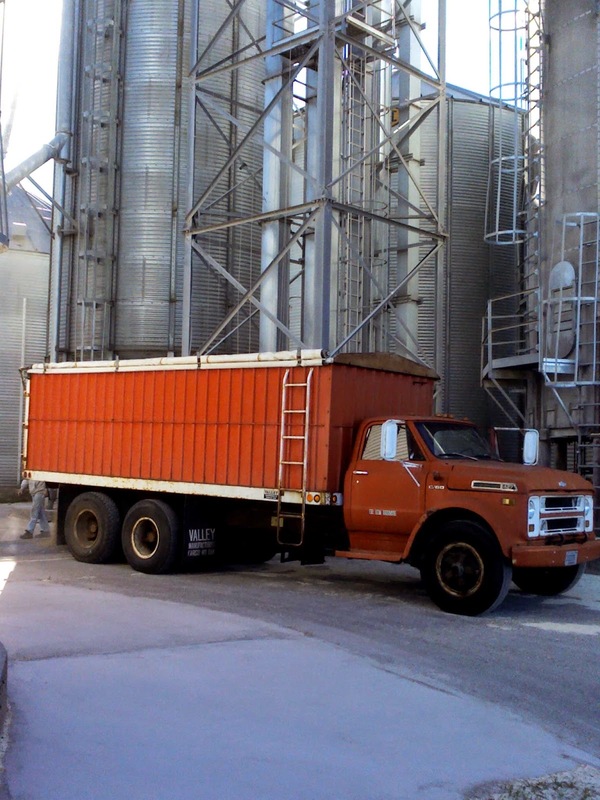 The truck holds about 600 bushels, or roughly 30,000 lbs of either corn or soybeans. 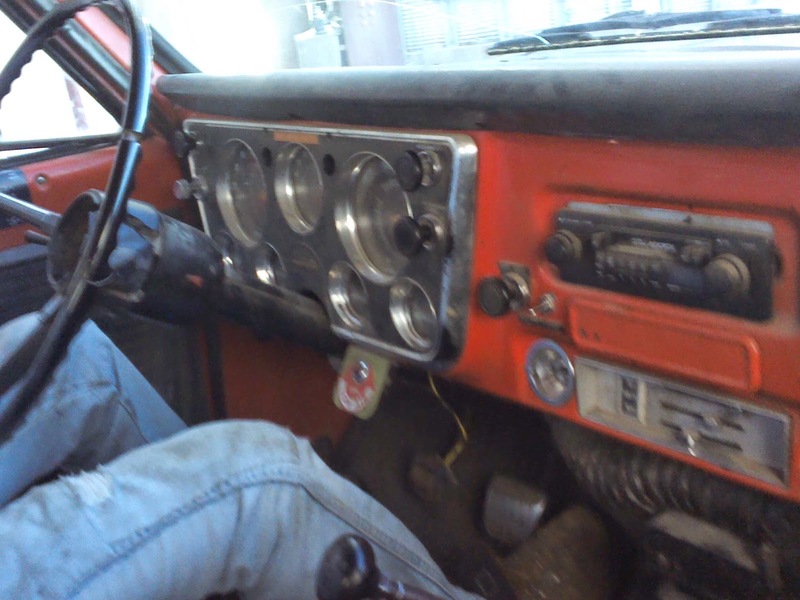 Spent a lot of time driving this old truck. It had a hard time making it up the hills when loaded. We finished at about 4am the last night. Had to get the corn off the field and into the elevator before a big snow storm hit. Bruce, that looks like a ton of fun. 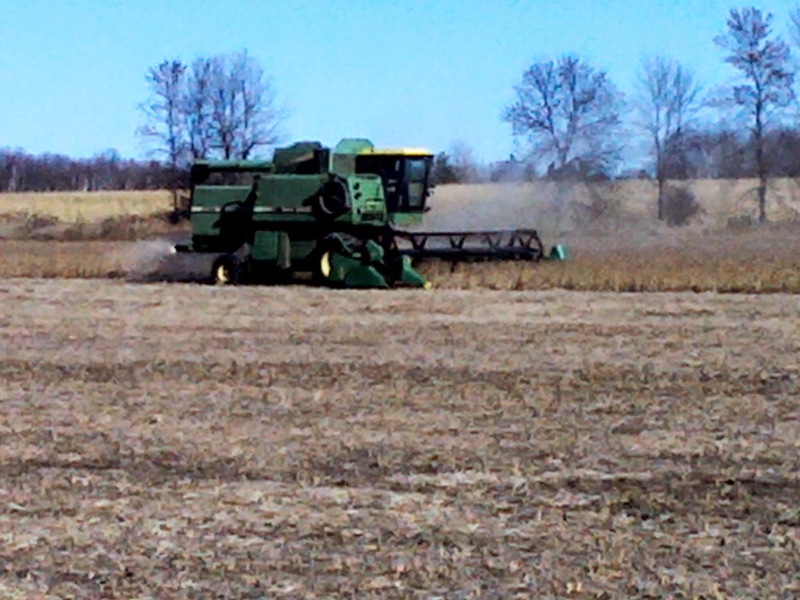 I know MN is having a big corn crop this year and I hope the same goes for your dad. It'll keep you busy. It's so nice to get out of the city, down to a farm (or up in this case) every once in a while. My family is in Central IL in a farming community as well. Have fun and work hard. We will add this to our blog as well. Thank you for the information. 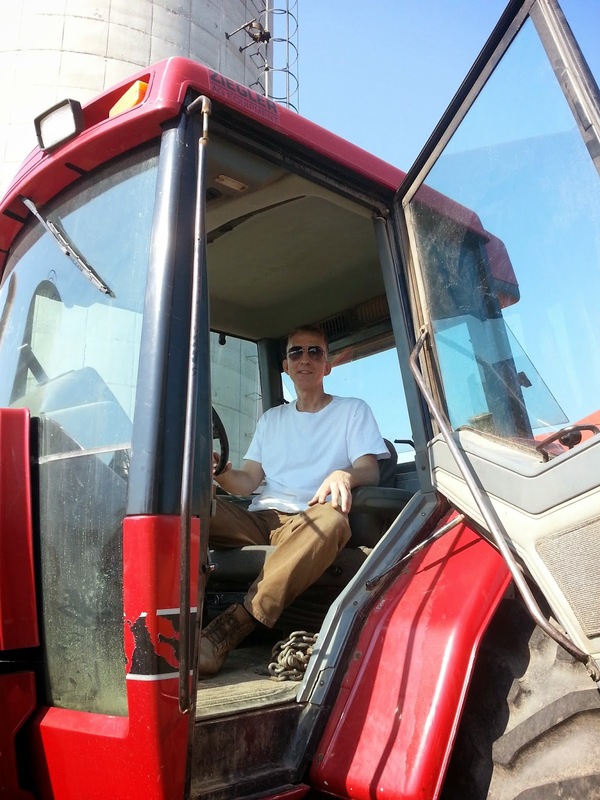 Very nice work Bruce helping your father in farming is the best work you have done. Entertainment plus hard work that makes this post beautiful. Have fun and work hard. Hey, great blog, but I don’t understand how to add your site in my rss reader. Can you Help me please? and anyone need Roof Repair Sydney then visit us!